After playing them three times in 2013 including the NFC Championship (or the unofficial Super Bowl as some called it), there is no doubt that one of our games against the San Francisco 49ers will be scheduled in primetime with the other game going to FOX on a Sunday afternoon, and once again I believe it will be the game at CenturyLink Field that is destined to be played under the lights. I believe that the NFL will want to start the 2014 season off with a bang, which is why I predict 49ers at Seahawks will be the game scheduled for NFL Kickoff 2014 on Thursday night, September 4th. At first I thought it would make more sense to schedule the Seahawks/49ers game at Levi’s Stadium as the primetime game between these two teams as the NFL would want to highlight the 49ers new stadium. However after learning that the 49ers will likely not play any Monday or Thursday night home games in 2014 due to traffic concerns it became more logical in my mind that the Seahawks would host the 49ers in primetime for the 3rd consecutive season. I would be absolutely stunned if the Broncos/Seahawks game, a rematch of Super Bowl XLVIII, is not slated for primetime. It makes too much sense. The fact that these two teams are once again the early favorites to make it back to Super Bowl XLIX makes this game a potential ratings wonderland. I expect this game to be a serious candidate for Sunday Night Football, or possibly Monday Night Football. Two years ago the Seahawks beat the Packers in Seattle in what has been remembered then and now as the infamous “Fail Mary” game. The Packers return to Seattle this season to try to avenge that sour loss and I believe this matchup will be the Seahawks 3rd game scheduled in primetime. I think it would make all the sense in the world to have this game scheduled on Monday Night Football just like it was two seasons ago. NOTE: On paper the Seahawks have a more attractive road schedule than home schedule, so I think the Seahawks will have two scheduled primetime games on the road and if Seattle qualifies for a sixth primetime game sometime during the season, that too will be a road game. This is the third consecutive season that the Seahawks travel to Charlotte to take on the Carolina Panthers. This season however, both teams are defending division champions and took the top two seeds in the NFC Playoffs last season. The Seahawks game against the Panthers is one of the more attractive road games we play this season and I could see this game being played on either Monday Night Football or Thursday Night Football. This year the Seahawks also play the NFC East, the one division that the NFL loves to over-schedule into primetime every year. If the Seahawks are going to play one game in primetime against an NFC East opponent, count my vote towards our game in Washington against the Redskins. Even though the Redskins finished in last place last season, couldn’t you see the “Russell Wilson wins a Super Bowl before #2 overall pick Robert Griffin III does” storyline be dissected for days leading up to the game? I definitely could. Monday Night Football would be the best fit for this game. The Dallas Cowboys are one of the most attractive teams for the NFL to have playing in primetime. Any Cowboys game is a candidate to be in primetime and their game against the Seahawks in Seattle is no different. I believe there are more attractive teams for the Seahawks to play in primetime at home but a Cowboys/Seahawks game is definitely a possibility. Last season the Arizona Cardinals snapped the Seahawks 14-game home winning streak dating back to December 2011. With the competition within the NFC West getting stronger there will certainly be some NFC West rivalry games slated for primetime in 2014. I could see Cardinals/Seahawks in Seattle on Thursday Night Football. I could also see the Seahawks play two other 2013 playoff teams in primetime in 2014. The Philadelphia Eagles are the defending NFC East champions and will see an expanded slate of primetime games this season. Sunday Night Football or Monday Night Football would be the ideal landing spot for this game. If the Seahawks are going to play a road game in primetime against an old AFC West foe, I think it should be the Kansas City Chiefs. Monday Night Football or an early season Thursday Night game would be the best fit for Seahawks/Chiefs. The Seahawks were challenged by the St. Louis Rams last season and the Rams may be ready to make a splash in the playoff conversation this year. Rams/Seahawks in Seattle is sure to be a longshot given the Seahawks other home opponents but it is the better matchup of the two. The New York Giants are another NFC East team which could draw big ratings in primetime but I do not believe this game is likely to be played in primetime. The one thing potentially working in favor of this matchup however is the legacy of the series; specifically the Seahawks win over the Giants in 2005 when New York surrendered 11 false start penalties. Seahawks/Cardinals in Arizona was a primetime matchup last season which is why it is unlikely to be repeated in primetime this season. Of the matchups in this tier, the Seahawks game in San Diego against the Chargers may have the best chance to be scheduled in primetime, especially since the Chargers also made the playoffs last season. The only way Raiders/Seahawks sneaks its way into the primetime schedule is the argument that the NFL wants to display former bitter AFC rivals on a national stage much like they did the last time Oakland came to town in 2006. I think this matchup is a gigantic mismatch on paper at this point and could be just as ugly as the Super Bowl was. An early double-digit Seahawks lead could turn viewers away later on in the broadcast. 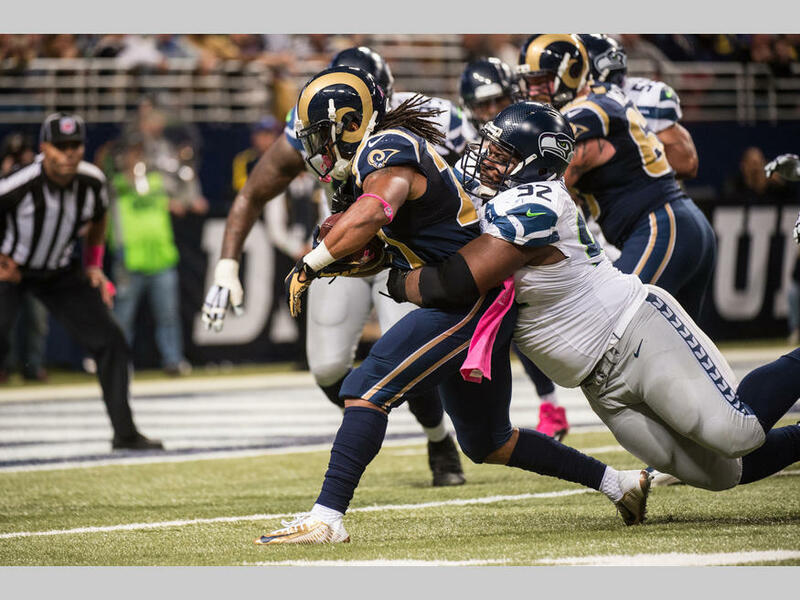 Last season the Seahawks played the Rams in St. Louis on Monday Night Football and that game went head to head with the World Series which was being played just down the street. The environment inside the Edward Jones Dome that night was less than ideal and introduced the prospect of St. Louis missing out on attractive matchups in primetime down the road. Pencil this year’s matchup against the Rams in St. Louis into a Sunday morning/afternoon slot. This is the most anticipated preseason game this season. On Friday night in front of a nationally televised audience, the Seahawks head to Green Bay to take on the Packers in a rematch of last year’s 14-12 Seahawks victory on Monday Night Football. The game was highlighted by Golden Tate’s disputed touchdown catch on the final play of the game. The play, ruled a simultaneous catch by Tate and defender M.D. Jennings, was awarded to the Seahawks even though Jennings appeared to have more control over the ball. The game did not have any effect on the Seahawks at the end of the season but a Green Bay win would have given the Packers the number two seed in the NFC playoffs and could have changed the landscape of how last season ended in the National Football League. There are some notable things to be watching in this game so let’s get right to it. The starters will see the most playing time of the preseason this week. Both starting units will play into the third quarter on Friday night. What makes this noteworthy is our opponent. The Green Bay Packers are the defending NFC North champions and are expected by many to win their division once again in 2013 and compete to represent the conference in Super Bowl XLVIII. For the starters to get the majority of their preseason playing time against the starting defense on a team that is also very talented is the best thing for the Seahawks. From this standpoint I am excited for two things specifically. I am excited to see how Russell Wilson handles the Green Bay defense and I am excited to see how our defense matches up against quarterback Aaron Rodgers and the explosive Packers offense. If we can hold the Packers offense and keep our offense on the field, that can only be a sign of good things to come in the regular season. With the trade of John Moffitt to the Denver Broncos, J.R. Sweezy has officially won the starting right guard spot. Although I am disappointed in the trade, I am glad we were able to get it done now. Every starting offensive line spot has now been solidified and the job now is to build continuity between these five guys. Sweezy is still a bit raw and I thought Moffitt was a better fit for the time being (which is why I am disappointed) but in the long run I think this will be good for the team. 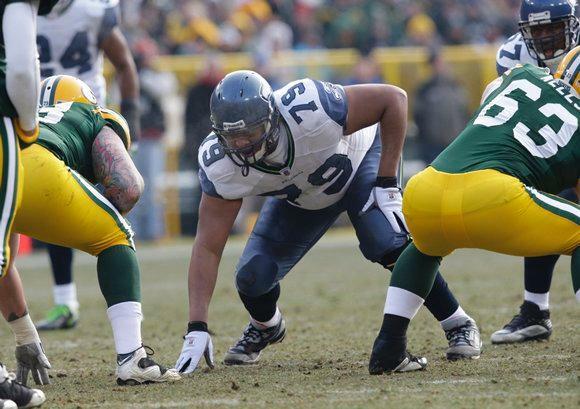 It will be interesting to see what kinds of blitz packages Green Bay will dial up, specifically in Sweezy’s direction. Do not be surprised to see Clay Matthews attempt to rush up the middle and through Sweezy. If Sweezy can maintain his ground, our offense will be in good shape. I will have special interest in the starters and the overall playing time of certain Seahawks defenders this week. Benson Mayowa started at defensive end against Denver last week and could get the start again in Green Bay. We will see a lot of Mayowa and linebacker John Lotulelei as well as linebacker Allen Bradford. Bradford can play all three linebacker spots and will mainly be competing for the backup middle linebacker spot. Bradford has impressed throughout the preseason although he has not gained as much attention as Mayowa and Lotulelei. If Bradford can also impress on special teams Heath Farwell, Bradford’s primary competition, could be out of a job come time for roster cuts. Antoine Winfield is another man to watch. According to defensive backs coach Kris Richard, Winfield is currently the starting nickel corner in front of Walter Thurmond. An impactful game by Winfield could solidify his roster spot, a spot that was considered to be unstable during the first week of training camp. For the Green Bay Packers I am mostly interested in their offense. Green Bay has some serious question marks along the offensive line considering starting left tackle Bryan Bulaga is out for the season with a torn ACL. The Packers offensive line was a point of weakness last season. The Seahawks can confirm that given their 8 first half sacks of Aaron Rodgers in their matchup last season. According to the Packers official depth chart rookie David Bakhtiari is in line to start at left tackle in place of Bulaga on Friday night. Look for the Seahawks to send increased pressure to Bakhtiari’s side to see how he handles it. The Packers also drafted two rookie running backs this year. According to the Packers website DuJuan Harris is currently the starter but make sure to watch how Eddie Lacy and Johnathan Franklin fit into Green Bay plans both in the backfield and on special teams. Random Thoughts: I hope Golden Tate is ready to hear the boo birds. Packers fans still remember what happened last season and if social media is any indication, Tate will be showered with boos throughout the game. I hope we see Tate score a touchdown to see what kind of fun he has planned for the fans regarding his touchdown celebration… How many times will we see the replay of last year’s game during the broadcast? I say five… The Seahawks will wear white jerseys this week… Ian Eagle and Phil Simms have the call for CBS this week… No word yet on who the referee for this week’s game is… It’s too bad we’re playing in Green Bay during the preseason. Of all the regular season road games I have been to, I am waiting for the chance to see the Seahawks play at Lambeau. Maybe it will happen next season… I have my fantasy football draft on Sunday night. Here’s to an injury-free week of football! Prediction: I think the game will go back and forth until the backups come into the game. I think the Packers will hold a 10 point lead at the time the starters exit the game and the Seahawks will close the gap with Tarvaris Jackson at quarterback. 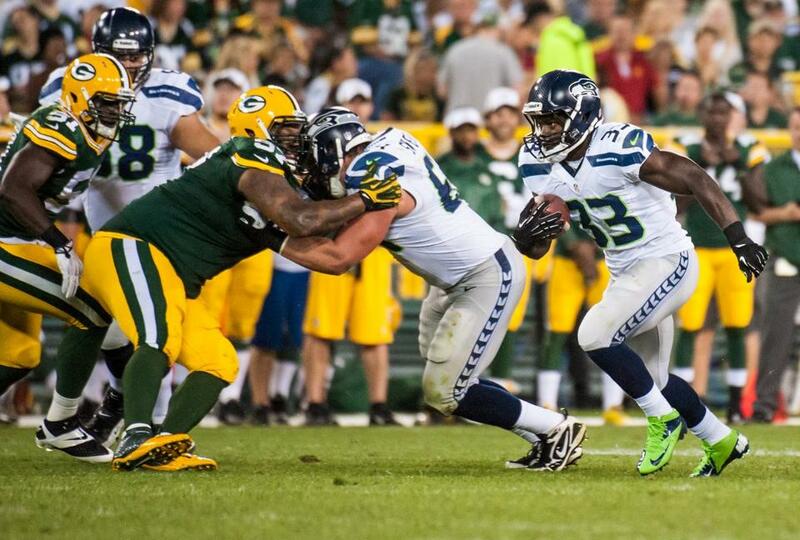 Unfortunately I think the Packers hold on for a victory this week and snap the Seahawks preseason winning streak. Check back on Saturday for a review of the game. Go Hawks! I like to think the release of the NFL preseason schedule is like opening one present on Christmas Eve before opening an entire slate of presents on Christmas morning. Most football fans do not get excited for the release of the preseason schedule, as they are mere practice games. However since I am a season ticket holder I get excited about two extra games against two teams we don’t get to play in the regular season (except for the painful fact that we season ticket holders still have to pay full price for preseason games). 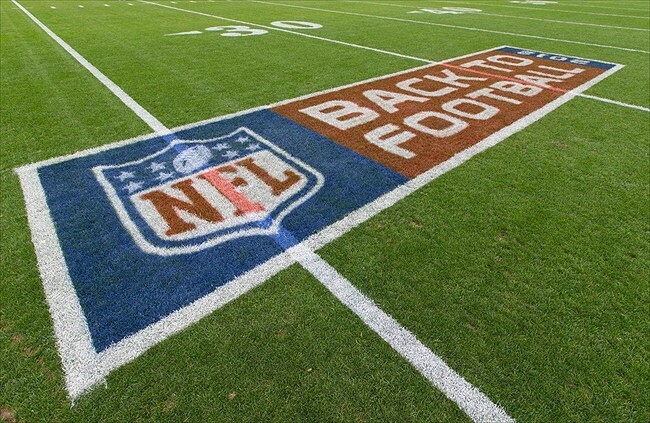 The NFL released the 2013 preseason schedule on Thursday. Just like I expected the NFL scheduled preseason games that are more regional, thus avoiding long flights for teams traveling. Here are my thoughts about the matchups featuring the Seahawks. Dates and times will be announced at a later time unless otherwise noted. 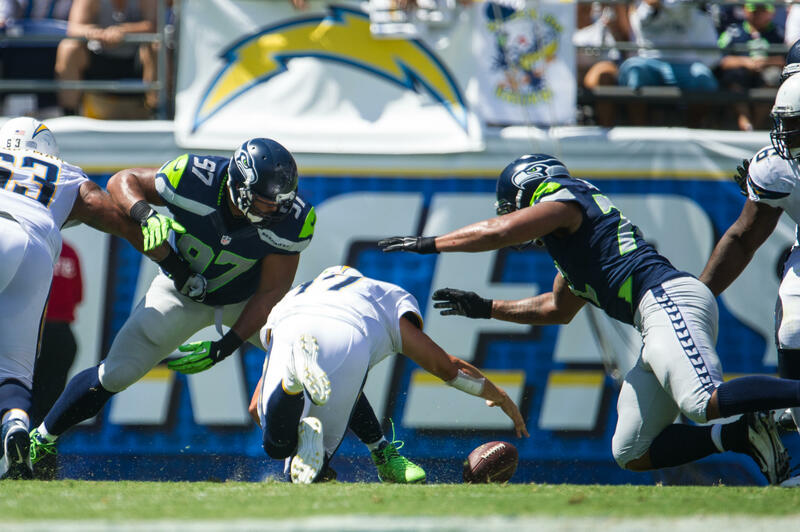 The Seahawks open up the preseason on the road against the San Diego Chargers for the third time in five seasons. The Seahawks will most likely feature Russell Wilson and the starting offense for one or two series before turning the game over to the back-ups. We will also get our first look at Philip Rivers and Ryan Mathews leading a fresh new offense led by head coach Mike McCoy. The first game I will attend in 2013 will be against the defending AFC West champion Denver Broncos. I am pretty excited because I will probably get to see Peyton Manning play one offensive series for Denver. The Seahawks will also get their first formal greeting from the 12th Man at CenturyLink Field since the 2012 season ended. I don’t expect to see a lot of playing time for the starting units but I am excited to see how our starting defense featuring new Seahawks Cliff Avril and Michael Bennett plays in the first quarter. The third game of the preseason is known as the unofficial dress rehearsal for the regular season. The starting units usually play the entire first half and possibly into the second half. The NFL has pinned the rematch of last season’s “Monday Night Miracle” against the Packers into national television. The game will be broadcast nationally by CBS and it will be held at Lambeau Field. Even though it is a preseason game, I imagine there will be a lot of boos and obscenities yelled when the Seahawks run out of the tunnel. I am licking my lips about this matchup. It is great that the Seahawks get to play a super bowl contender in the one preseason game where the starters get the most playing time. It will be great to see how these two teams stack up against one another for at least an entire half. 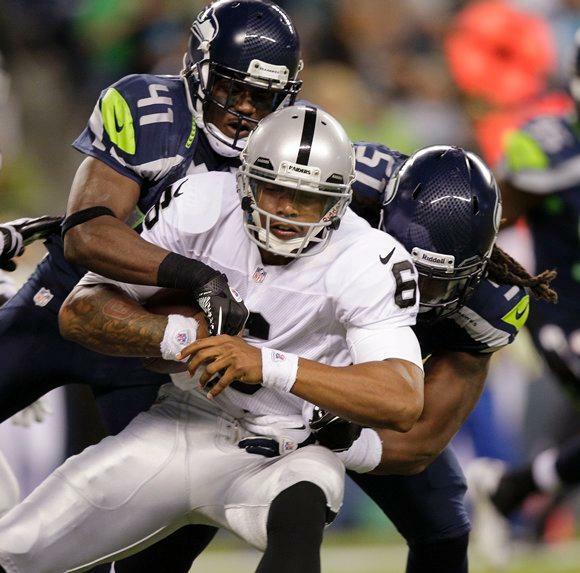 For the eighth straight year the Seahawks conclude the preseason against the Oakland Raiders. The Raiders last beat the Seahawks in the preseason in 2010; the only year during this 8-year stretch the game was played in Oakland. Although the starters don’t play, I like this game for two reasons. First, since I am a dedicated Seahawks fanatic, I enjoy watching the players who are fighting for a spot on the 53-man roster; something the common fans think is boring. Second, it has become tradition that I take one of my best friends, Josh, to this game because he is a big Raiders fan. We like to make a small wager on these games and I have yet to lose since I have seen the Seahawks beat the Raiders every year I have been a season ticket holder. Maybe this year is finally the year we bet and Josh wins. The regular season schedule will be released on Tuesday, April 16th. Check back to my blog in the days leading up to the regular season schedule release for a post looking at which Seahawks games are most likely to be scheduled in primetime!